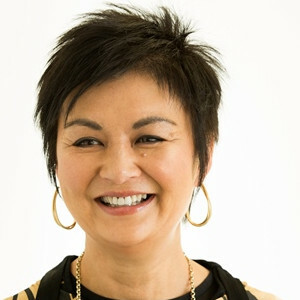 Anita Chan QC is one of New Zealand’s leading family law barristers. She was appointed to the rank of Queen’s Counsel in 2014, which made her the 26th woman and the first Asian to be appointed to the rank in New Zealand. Anita’s legal practice is in complex property and child disputes. She is often briefed in cases involving farms, trusts, high-value assets and complex asset structures, and cases involving international issues. Anita is Deputy Chair of FairWay Resolution Limited and a former director of ChildFund (New Zealand) Limited. She is a member of the Women’s Advisory Panel of the New Zealand Law Society. Anita is a former chair of the New Zealand Law Society Family Law Section. She is a former Governor, Parliamentarian and Vice-President of the International Academy of Family Lawyers (IAFL)(London), the premier association of family law specialists worldwide. She currently serves as counsel to the Academy. Anita chaired the New Zealand Family Law Conference in 2015 and has presented extensively on a diverse range of family law topics both nationally and internationally, including in Brisbane, Adelaide, Seoul, Shanghai, Capetown, Vancouver, Singapore, Buenos Aires and Budapest. She is a contributing author (on the subject of New Zealand law) of a number of legal publications on international Family Law. She is a graduate of the University of Otago and a regular guest lecturer in Family Law at that University.